Scouting the Amerks will be a weekly series in which Dennis Allen (not the Saints defensive coordinator) takes a closer look at how things are going on the farm. To say the Amerks had a bad weekend would be a powerful understatement. Rochester didn’t even have a loser point to show for two games in Lehigh Valley and one in Hershey. Rochester were doubled up in the shots column in the first game against the Phantoms and the weekend finale against the Bears. They were out shot 125 to 69 over the course of all three games. The Amerks are now ranked 12th in the conference and are 8 points out of the playoff race. The roster is really hurting from a defensive standpoint. So much so that Dan Lambert continues to use five forwards on the power play. That has caused some problems as Evan Rodrigues’ inability to hold the point against Hershey led to a shorthanded breakaway goal. However the Amerks are not without talent. 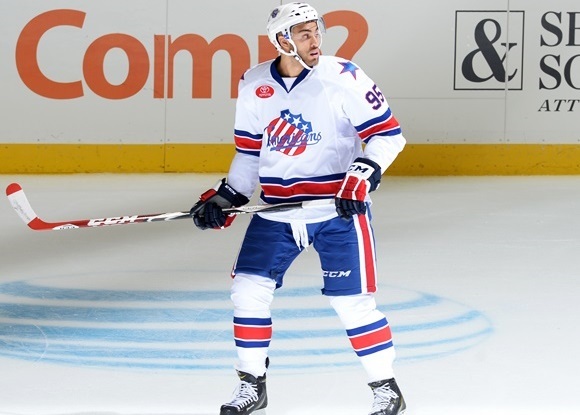 My two standout Amerks this week were Justin Bailey and Linus Ullmark. I definitely think Bailey has taken a step or two backwards from where he ended last year. However, he had a decent weekend. He was one of the few Amerks to finish with an even plus minus and had one assist and one goal in the opening game against the Phantoms. I thought he had a great first period against the Bears and was unlucky not to pot a goal on a couple of occasions early in the game. Like much of the team, he seemed to have nothing left in the tank after the first. I am still waiting for Bailey to establish his NHL identity. He is a strong skater that works hard to make plays. But, he doesn’t play physical, have a great shot, or provide a strong net-front presence. If he is ever going to play at the NHL level he needs to establish a clearer role on the team. Ullmark went 0-2 in his two starts this weekend. He faced 90 shots in the two starts and turned away 80 of them. Editors Note: Ullmark has been hung out to dry regularly this year and that he stood out despite a sub-.900 save percentage speaks to process over results in this case. Ullmark made countless amazing saves (including a glove stop when he was screened that I still cant believe) and was the sole reason the Amerks stayed competitive. He was a lone bright spot in Rochester’s 6-1 loss to Hershey. He was the reason Rochester led after being out shot 16-8 in the first period. Ullmark has also improved his puck handling so far this year, an area that was certainly a weak point for him last year. I especially felt he played the puck very well on the power play this past weekend. So far this year Ullmark has faced 100 more shots than any other goaltender in the league. That doesn’t look like it is going to change any time soon and if the Amerks are going to have any hope of a playoff run they will need to lean on him heavily.